On March 2 from 6– 8pm at the Downtown Bend Deschutes Public Library, Brooks Room a free public information presentation will be held regarding the largest Engineered Geothermal System (EGS) in the world at the Newberry volcano. Plan are to complete that system by drilling a production well this summer. 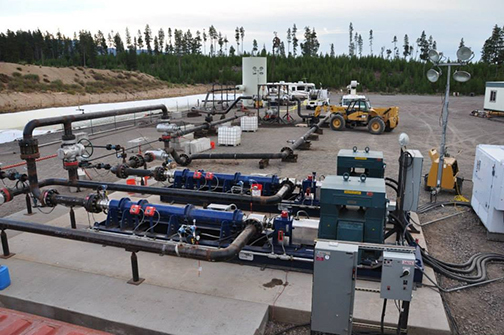 Scientists and engineers with AltaRock Energy created the largest Engineered Geothermal System (EGS) in the world at the Newberry volcano last year, and have plans to complete that system by drilling a production well this summer. Come learn about this exciting new green energy source and get your questions answered about the local benefits and impacts of the project on the local economy and ecology. The Newberry project is also a leading candidate to be the site of the new National Geothermal Test Lab funded by the Department of Energy. They will be discussing the huge upside of EGS as a renewable energy source, and what it means for Central Oregon to have the world’s largest EGS project and the National Geothermal Energy Lab located in Central Oregon.